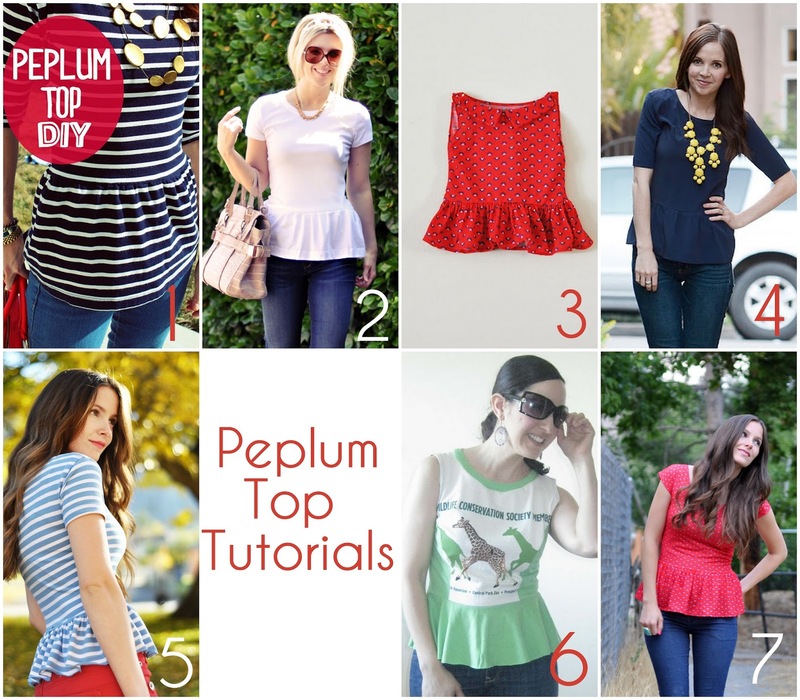 ' Peplum Top Tutorials - Sisters, What! For a while now I've been watching the growing trend of peplum tops. At first I wasn't sure if it was my thing, but lately it's been growing up me so I decided that maybe it's time to make one for myself. There are a tons of great tutorials online with different variations. Now I just need to do it. Here's a round up of all the tutorials that I found. Hopefully I'll post a peplum top of my own soon! Thank you so much got featuring my peplum tshirt. I am so honored. I shared on mt Facebook page so I hope you get more followers. God bless!